Small business inventory management provides up to the minute data on current stock levels, inbound stock, and connects your key financials like sales and cost of goods sold. This data is critical to fine-tuning profits, cutting losses, and spotting theft and inefficiencies. In this article, we’ll show you how to get your inventory organized and on track in 8 easy steps. If you’re looking for a POS system, the free Square POS software is a good option for smaller inventories. For larger inventories, a POS with advanced inventory tracking features like Lightspeed is best. Lightspeed offers excellent inventory tracking methods right out of the box. Purchased items are automatically deducted from your inventory records, and you get notified when stock is running low. 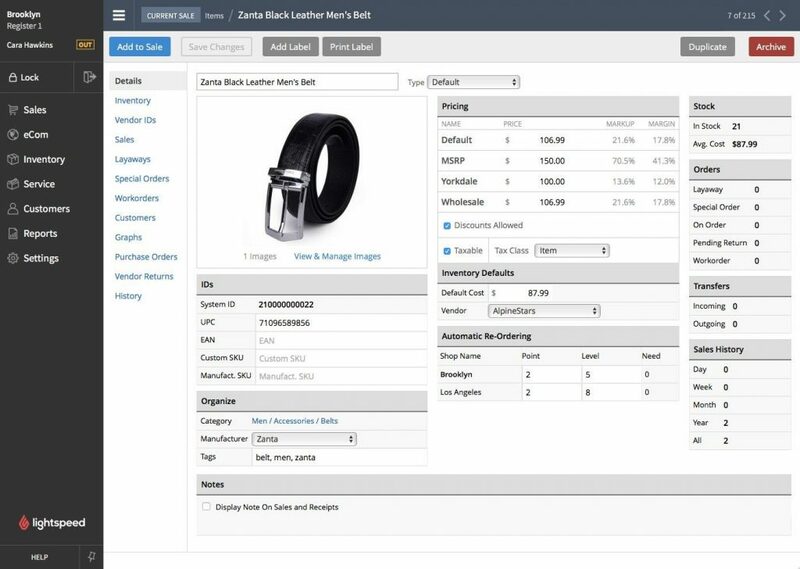 Lightspeed also lets you build purchase orders easily when it’s time to reach out to your suppliers. Click on the button below to start a free trial. If you sell less than 30 products, you can get away with using a spreadsheet or handwritten records to track this data. But neither are automated, so both methods are time-consuming and also prone to errors. A POS really is the best way for small businesses to manage their inventory. If using a POS, you’ll enter this into your system and link it directly to each inventory item. You can even list multiple suppliers for each product in POS systems. This is helpful in case one supplier is out of stock or if you need to compare wholesale prices. Once you have all of this data recorded in one place, be it a POS, spreadsheet, or notebook, you can ditch all of your paper clutter like Rolodex cards and dog-eared supplier catalogs. Purchase orders (POs) are the easiest way to manage your inventory purchases. They let you efficiently track every stock purchase, from placing the order, to receiving the shipment, to paying the bill. Since they’re essentially financial transactions, inventory orders shouldn’t be done without planning. Ideally, only create POs when you have time to review your cash flow and realistically forecast your stock needs. You can submit POs many ways, from handwritten orders sent via fax to emails sent from your POS. Nowadays, most vendors prefer to receive electronic POs like those that POS systems send in a few keystrokes. But if you’re managing inventory using spreadsheets or via handwritten methods, you can use the following templates to create consistent POs that can be emailed or faxed. If you submit POs manually, make sure you use a dark ink, write legibly, and differentiate between letters and numbers that look similar, like 1’s, L’s, and I’s, to reduce errors. With a POS, the ordering process is quite easy. Since a POS tracks your sales data and inventory for you, you can quickly place orders based on up-to-the-minute sales numbers and inventory levels. 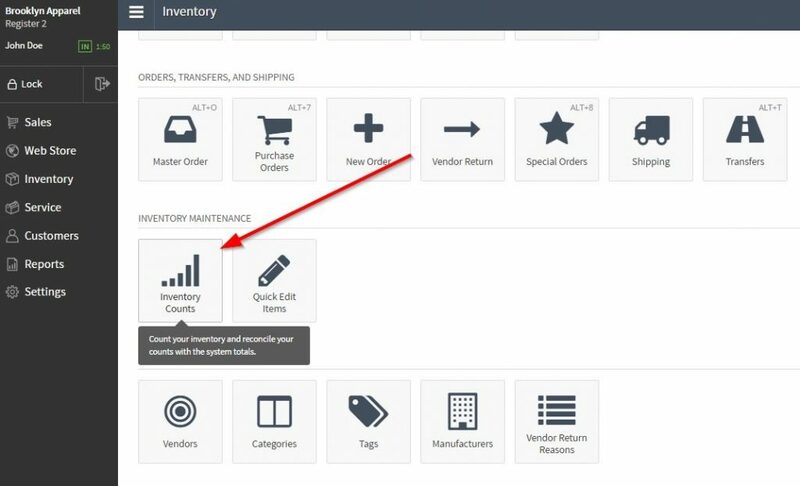 You can even set up automatic reorders or be notified you when products hit a low-stock level. If you sell in any sort of volume, this automated convenience is a major timesaver. It’s especially important to ensure that you check all received items against your PO. Suppliers generally include a packing slip that lists the items and quantities in your shipment. It’s easy for stockroom and warehouse staff to check in a stock shipment in with only the packing slip, but that’s a big mistake. If the supplier made an error during order entry, their packing slip will match the shipment, but it won’t match your PO. If this isn’t caught by checking the received items against your PO, you’ll think you received stock that didn’t actually arrive. That leads to stock shortages, backorders, and ultimately, cash losses. So, always check your receipts against each PO, not just the supplier’s packing slip. In fact, check your vendor’s invoice against each PO as well, to catch any price errors or changes. Shelve or store all correctly received stock, tag or label first if needed for your system. Receiving stock is another task made easier by a POS. Unlike manual inventory management methods, when you receive the PO for a stock shipment in a POS, your inventory numbers are automatically, and correctly, adjusted. You need to tag and label your inventory for two reasons. First, price tags and product labels display an item’s selling price to shoppers. Second, product labels, particularly barcode labels, help you closely track your inventory and speed up the checkout process. For basic price tags, you can use a standard price tag gun to quickly price items, or even use hand-written price tags if they fit your store’s motif. Both work fine with spreadsheet or hand-entry inventory management methods, but they don’t help you automate the overall inventory management process. If you carry a large inventory, say over 100 unique products, barcode labels can make many key functions quick and easy. They speed up the checkout process, help you do fast and accurate inventory counts, and link each inventory item to your sales. Most POS systems, including Lightspeed, support barcode labels and some are even starting to work with the higher-tech electronic tags (RFID tags). Regardless of the type of price tags or product labels you use, a good time to tag and label inventory is during the stock receipt process. That ensures the task isn’t overlooked and prevents unlabeled stock from being shelved or displayed for sale. You can simply build this step into the stock receipt process we covered above. Once printed, labels can be affixed directly to product packaging or attached to hang tags. 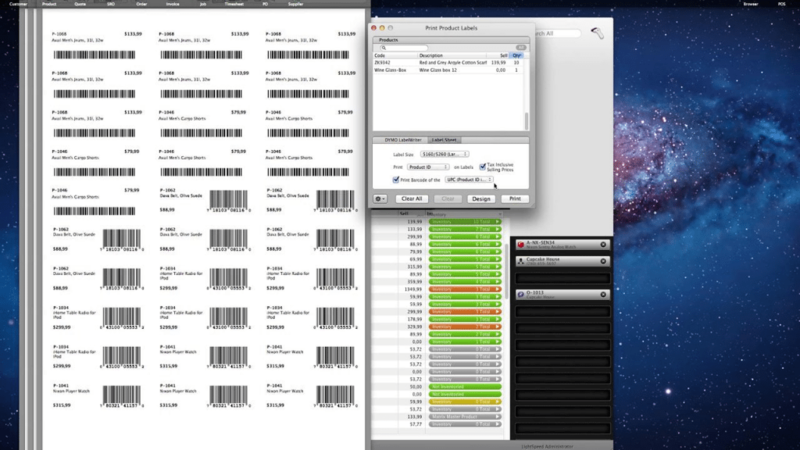 Some inventory might even arrive pre-labeled with manufacturer’s barcodes, which you can also track in your POS. In that case, your job is easy. You can just add a price label. Tracking sales is a must for any business operation and it involves more than just tallying up the totals at the end of the day. A good small business inventory management system also records every order in detail, including each item sold. With a manual system, you’ll record orders by hand or track them within a spreadsheet, then manually adjust the inventory quantities for each item sold. A small operation can handle this manually as long as inventory reductions are tracked regularly, say at the close of each business day. But as you grow, a POS system will dramatically streamline your operation by automating your inventory reduction with every sale. That means every time you make a sale, each item sold is automatically removed from your inventory records. Plus, each recorded sale lists each item sold. It’s all very tidy. A POS also gives you up-to-the-minute sales totals. You don’t have to wait for an end of day closeout to know your daily sales since you can run reports at any time. And remember those POs we covered in Step 2? As your inventory numbers click down with each sale, reorder alerts or automatic POs will generate. This makes stock reordering quick, easy and, most importantly, bases your reorders on actual sales trends, not your best guess. Physical inventory counts certainly don’t top anyone’s bucket list. But done right, physical counts can dramatically reduce all types of inventory problems. Most small businesses do a full inventory count once each year for tax purposes, but it’s a good idea to smaller partial inventory counts regularly, too. This is the full inventory count done at the close of each fiscal year for income tax purposes. For some small businesses, it’s the only real inventory count they perform. But beware! If you only do inventory counts once each year, you’re likely to uncover shortages due to miscounts, misplaced stock, and receiving errors. By year’s’ end, it’s too late to fix most of these issues. To catch them before they become costly, you’ll want to conduct periodic counts, called cycle counts. Cycle counts are periodic spot-counts that you can easily fit into your daily activities. With cycle counts, you just count a small portion of your stock on a rotating basis, such as a single category or product line each week. Done regularly, cycle counts uncover receiving errors, misplaced stock, and theft shortages quickly before they become costly, long-term problems. You need to start every physical inventory count with the current Quantity on Hand (QOH) for every item you’re planning to count. This is the amount you should have in stock for each item you carry, according to whatever inventory management system you’re using. How quickly you can figure up the QOH for each item in stock depends on your chosen inventory management system. With a POS system like Lightspeed, you can quickly print an inventory list for physical counts. This list includes the name of each product to be counted, SKU, barcode if using a scanner, and the quantity of each product that you should have on-hand. This is termed your expected or starting QOH for purposes of your inventory count. Your POS does the math for you by tracking your received items and subtracting the sold items to give you an expected QOH for each item you carry. Using your printed inventory sheet, you’ll physically count your stock and record that quantity next to your expected QOH for easy comparison. If the counted quantities match your expected QOH, your inventory is accurate. If they don’t, you have an error in your process and need to do some digging to uncover the reason for the shortage. We’ll discuss how in a minute. If you don’t use a POS, you must tally up the starting QOH totals yourself manually, or by using your inventory records in your spreadsheet. Then you’ll need to create your own inventory count sheets to record your physical counts, like these free inventory count templates. Start with your beginning inventory count. This is the QOH you recorded for each item after your last inventory count. Add the received inventory to the beginning QOH for each item. This is the stock you received since your last inventory count. Subtract your items sold. This is the number of each item sold since your last inventory count. Now that you have an expected/starting QOH for each item, you can begin your physical inventory count. Again, if the newly counted quantities match your expected QOH, your inventory records are accurate. If they don’t, you have an error in your process and need to do some digging, which we’ll discuss next. See why a POS system is such a timesaver? Doing the manual steps listed above is time-consuming and prone to math and recording errors. Plus if you use a POS system with barcode scanners, you can save even more time since your physical counts can be integrated with the rest of your POS data in real time. But no system, however sophisticated, is 100% foolproof. Next, we’ll explore what to do when your physical counts don’t match your expected QOH. In a perfect world, you’ll have no discrepancies at the end of your physical count. If that’s the case, bravo! Your small business inventory management techniques and systems are working great. But even the best process and system can have an occasional glitch. When these occur, you’ll need to investigate the problem, and if not solved, reconcile the QOH differences for accounting purposes. The first step is researching the count discrepancy. There are many reasons inventory goes missing, physically and figuratively. It can be an actual loss, like employee theft, damaged goods not reported, or stock recorded as received but that never actually arrived. Other times, the stock is there, it’s just in the wrong place or incorrectly labeled. If you can’t locate the stock, then you need to adjust the QOH for that item in your system to what you actually have on hand. This is as simple as just changing that number in your POS, spreadsheet, or written inventory record. After that, you need to adjust your inventory value for that item in your accounting system to track the dollar value of the loss. This usually is reflected on your balance sheet as Inventory Shrink. Accuracy here is especially critical since you need to supply inventory valuation for insurance policies, investors, or if you’re applying for an SBA loan. Frequently, inventory levels don’t match because your vendor either sent less than you requested or an item walked out the door without anyone paying for it. 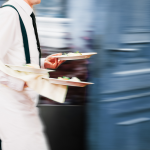 As we saw earlier, a POS systems like Lightspeed can improve the accuracy of receiving orders. 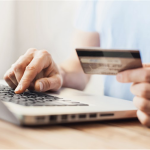 Once you know you received what you ordered, you can tell if the discrepancies between the items sold and those still on the shelves represent theft or shrinkage and take actions to protect your inventory. So far, we’ve focused on the sales, stock receiving, and counting processes that drive good small business inventory management. But this discussion is incomplete without looking at ways to keep all of that stock organized and readily accessible. Whether you have a retail store with a small stockroom in the back or an expansive warehouse for your ecommerce business, organization is key to smart inventory management. Even if you operate in a tiny space, it’s good to have organized overstock space so you can take advantage of discounts and deals on quantity purchases. “After my first stock order of over 1000 units, we had boxes of inventory everywhere and were shipping orders from multiple locations. I realized I had a huge inventory management problem when we needed a balance sheet with accurate inventory counts for investors. Assembling that took days, and made me really stop and think. In retail stores, tall storage shelves or double-tier hanging racks can maximize storage space along walls, yet allow movement through the space to access stored goods. In ecommerce fulfillment warehouse settings, you generally have more room to store goods on aisles built using light-duty metal shelving or heavier-duty shelving, depending on your needs. To learn more about setting up each type of inventory storage space to suit your specific needs, check out our retail store layout guide and warehouse layout guide. Whatever your inventory storage method, your stored inventory needs to be well-organized, clearly labeled, and accessible for pulling and inventory counts. This can be done using the boxes goods come in, stacking bins, or even hanging separators for hung apparel. Periodic cycle counts of overstock also help keep track of extra inventory and ensure it’s not lost or misplaced over time. Follow the inventory management techniques above and your retail store or ecommerce business will soon be running an efficient and effective small business inventory management system. Whether you’re looking to switch from spreadsheets to a modern POS system, reinvigorate an existing system that has become disorganized, or starting a system from scratch, these basic principles will help you set up and streamline your operation. 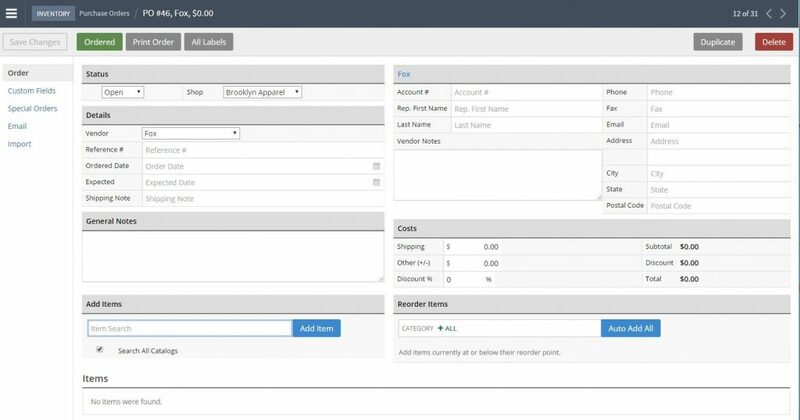 If you’re looking to switch to a small business POS, check out Lightspeed. As we’ve already seen, Lightspeed’s robust POS system makes it quick and easy to track inventory and place and receive orders. You can even set up automatic reorders that trigger when your inventory is low so you can get your products back on the shelves faster. Click here to try Lightspeed for free. I m from India and we have two shop different place and godown is another place. Our problem is that we are unable to take physical inventory, plz suggest me how we can do that by simple process. I don’t know how to handle inventory without some level of physical counts. High-tech RFID tags can help track stock remotely and without counts — if you can run that level of technology. But these have to be affixed to items when they arrive, so at some point, there has to be some hands-on physical interaction with your stock. I hope you can find a solution, good luck! Great article! Who do you know that uses the POS system that we can talk to or shadow before making a purchase of the POS system? We have a small retail store of about over a little 100 items. I’d definitely look into Square POS for your store, the POS and inventory system is totally free and if you need credit card processing, that’s built in. Other than Square, most others that are paid POS systems, like Lightspeed POS, all have free trials so you can try out as many as you want with no upfront costs. I hope this helps, good luck. Excellent article on inventory management with well elaborated points. Inventory management is part and parcel of any business’ daily process. Receiving inventory accurately is a part of inventory management that is ignored from time to time, but is one of the most important part of inventory management. Looks like a promotion for ‘Lightspeed POS’. There are other great solutions that could have been mentioned to make it feels less sponsored. I see what you mean, but there’s really a reason behind it. 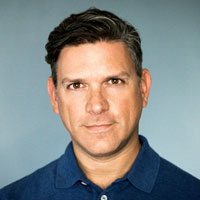 We have other articles that compare the many inventory management systems and even focus on ones specifically geared to in-store POS needs (Square, ShopKeep, Lightspeed to name a few), online order management (Ordoro, OrderHive, SellBrite), and project tracking needs (Freshbooks, Quickbooks, Xero). For the basic how-to guides that run through a business process like inventory, I just find it easier to stick with one example. Lightspeed POS happens to be one I’ve used personally in various retail settings (and, I must say, quite like). Trying to discuss basic how to’s and show different screenshots and software processes gets disjointed since each system is a bit different. Hope this helps explain why we used Lightspeed in this! Check out an inexpensive app for iPad/iPhone devices for tracking inventory. Yes! We’re checking into the different phone apps that support this – very cool options for using mobile devices in place of bulky scanners.